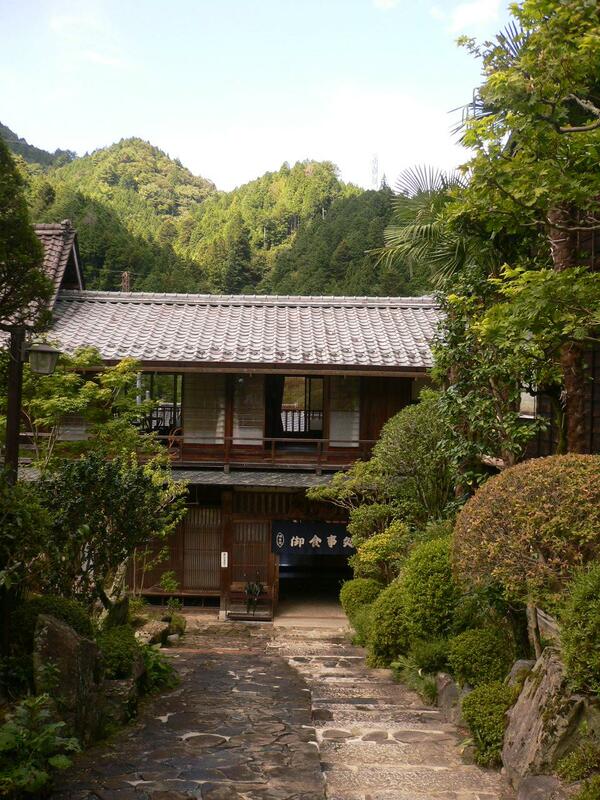 Historical Ryokan Boasting a Traditional Japanese Garden. Popular with foreigners, the majority of the inn’s guests are repeaters or come by word of mouth. Dinners feature the best of Nagano’s cuisine, including apple-fed Nagano wagyu (“Shinshu-gyu”) beef filet served with a miso sauce on a magnolia leaf (a local specialty), horse meat tartar (“Basashi”), and salt-rubbed grilled char. The common bath is made of hinoki cypress wood, another specialty of the Kiso area. Authentic historical construction. Walls between guestrooms are literally paper-thin. Toilets are common-use. From Nagiso Station(JR Chuo Line), By bus bound for Tsumago, get off at Tsumago stop (10 min) then 2 min on foot. Or 5 min by taxi. From Nakatsugawa IC, 30 minute in the direction of Kiso Fukushima.